A television commercial showcasing the dual-lens camera system on Apple’s iPhone 7 Plus was crowned ‘Best in Show’ at the prestigious Art Directors Club (ADC) annual award ceremony earlier this week. 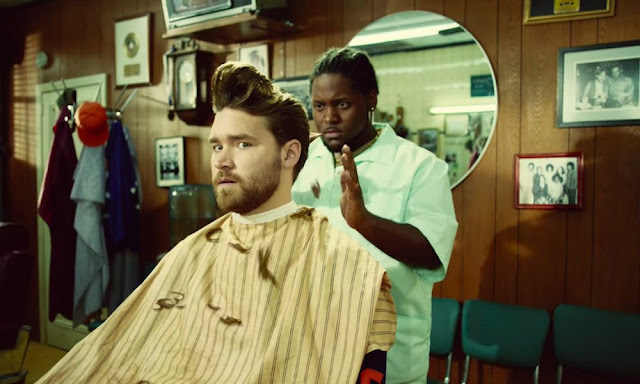 Humorously, the tech-giant’s ‘Barbers’ ad spot showcases its first-ever dual-lens camera system, which was employed as a breakout feature on the company’s iPhone 7 Plus. In the commercial, the 2016 iPhone flagship’s camera showcases its powerful Portrait Mode functionality, comically demonstrating how the feature can make literally anyone look good. While the dual-lens camera employed on Apple’s iPhone 7 Plus, 8 Plus, and high-end iPhone X is close, but not exactly ‘up to par’ with DSLR-grade photography hardware, Apple still managed to build in a first-of-its-kind feature dubbed Portrait Mode (also known among photography enthusiasts as the Bokeh effect). Essentially, the Bokeh effect is meant to enhance the quality of photos by clearly superimposing the image target over a blurred and seemingly distant foreground. Apple’s commercial shows multiple unkempt customers lining up outside a neighborhood barbershop to receive haircuts, lured in by images captured with the iPhone 7 Plus’ Portrait Mode which make previous haircut recipients look dapper as can be, whether they actually do or not. Watch the Barbers commercial below! Founded back in 1920 on the philosophy that advertising could easily be judged and syndicated to the same standards as fine art, the Art Directors Club (ADC) is officially the oldest, continuously running awards ceremony in the world. This week, ADC held its 97th annual awards ceremony in New York City, where the organization doled out its traditional allotment of Gold, Silver, and Bronze Cubes in categories including Typography, Packaging, and Promotional Materials. Above and beyond the prestige of these metal-tinged Cubes, however, is ADC’s Black Cube, which this year was given to Apple on account of its aforementioned ad.